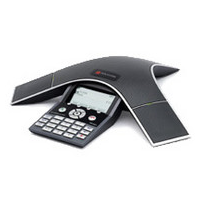 Advanced IP conference phone with Polycom HD Voice clarity, designed for small conference rooms and executive officesThe Polycom SoundStation IP 5000 conference phone delivers remarkably clear conference calls for small conference rooms and executive offices. 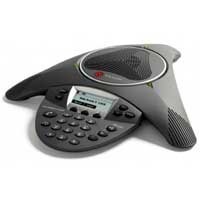 It features Polycom HD Voice technology, broad SIP interoperability, and a modern design that is ideal for smaller roomsall at an affordable price.With Polycom HD Voice technology, the SoundStation IP 5000 conference phone boosts productivity and reduces listener fatigue by turning ordinary conference calls into crystal-clear, interactive conversations. 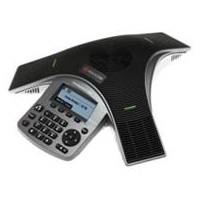 It captures both the deeper lows and higher frequencies of the human voice for conference calls that sound as natural as being there.For all calls, the SoundStation IP 5000 conference phone delivers advanced audio performance that is designed for executive offices and smaller conference rooms with up to 6 participants. From full-duplex technology that eliminates distracting drop-outs to the latest echo cancellation advancements, only Polycom can deliver a conference phone experience with no compromises. Conference calls are made more productive and efficient by three sensitive microphones with 360 degree coverage that allow users to speak in a normal voice and be heard clearly from up to 7 feet away. The phone also features technology that resists interference from mobile phones and other wireless devices, delivering clear communications withoutdistractions.Integrated Power over Ethernet (PoE) simplifies setup, with an optional power supply available for non-PoE environments. Plus, the SoundStation IP 5000 conference phone includes a high-resolution backlit display for vital call information and multi-language support. 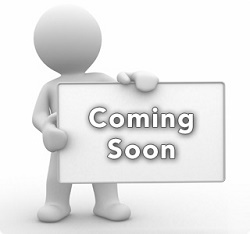  Unparalleled clarity - Polycom HD Voice technology makes your conference calls sound amazingly clear and life-like.  More productive conference calls - Patented Polycom Acoustic Clarity technology delivers the best conference phone experience with no compromises. microphones also available.  Seamless user experience - Benefit from the same familiar Communications Server 14" experience as Polycom CX desk phones. The SoundStation IP 6000 is an advanced conference phone delivering super performance for conference rooms. With advanced features, broad SIP interoperability and remarkable voice quality, the SoundStation IP 6000 is a price/performance breakthrough for SIP-enabled IP environments. The SoundStation IP 6000 features Polycom HD Voice technology, boosting productivity and reducing listener fatigue by turning ordinary conference calls into crystal-clear interactive conversations. It delivers high-fidelity audio from 220 Hz to 14 kHz, capturing both the deeper lows and higher frequencies of the human voice for conference calls that sound as natural as being there. For all conference calls, the SoundStation IP 6000 delivers advanced audio performance that far exceeds previous generations of conference phones. From full-duplex technology that eliminates distracting drop-outs to the latest echo cancellation advancements, only Polycom can deliver a conference phone experience with no compromises. Polycom HD Voice for high-fidelity calls at up to 14 kHz - conference calls that sound as natural as being there Polycom's patented Acoustic Clarity Technology - delivering the best conference phone experience with no compromises 12-foot microphone pickup - 20% greater than previous generations of IP conference phones Strong, robust SIP software - leveraging the most advanced SIP endpoint software in the industry, with advanced call handing, security, and provisioning features Robust interoperability - compatible with a broad array of SIP call platforms to maximize voice quality and feature availability while simplifying management and administration. High-resolution display - enables robust call information and multi-language support. Polycom Trio 8500 is the new standard in conference collaboration for mid-sized conference rooms. Experience full, rich distraction-free audio with Polycoms legendary voice quality and patented NoiseBlock technology making sure every conversation, every spoken word just that much clearer. Start calls on time, every time, with the modern, intuitive interface and with the broadest interoperability in its class, you are free to deploy on all leading voice platforms from SIP to Microsofts Skype for Business. Whats more, future-proof options for video and content ensure the freedom to expand collaboration on leading unified communications platforms today and tomorrow. This Power kit includes extended single-port gigabit midspan, 802.3at Type 2 compliant, local power cord and network cable.